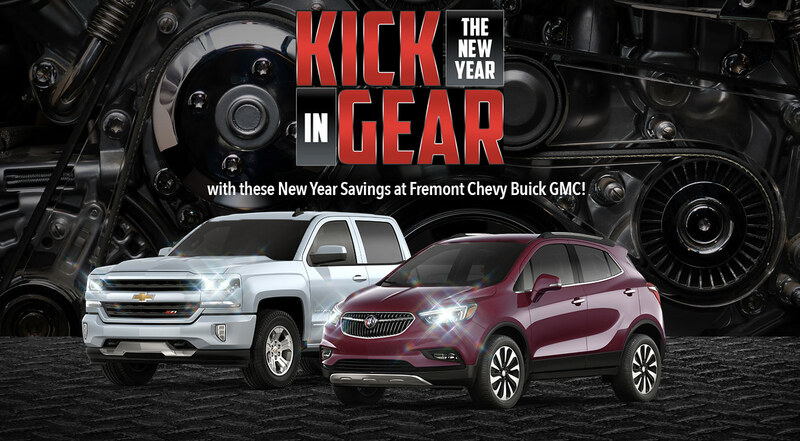 With the holidays over, it’s time to kick the New Year in gear at Fremont Chevy Buick GMC. Check out these deals today at Fremont Chevy Buick GMC, in Riverton. STK # 8B17010 & 8B17009. Price includes all applicable dealer incentives and manufacturer rebates and are based off MSRP of $43,475. Not all buyers will qualify. Current offers are not available on prior purchases or pre-negotiated deals. Prices plus tax, tag, title and dealer fee. See dealer for details. Offer expires 01/31/2018. STK # 8B17023. Price includes all applicable dealer incentives and manufacturer rebates and are based off MSRP of $37,485. Not all buyers will qualify. Current offers are not available on prior purchases or pre-negotiated deals. Prices plus tax, tag, title and dealer fee. See dealer for details. Offer expires 01/31/2018. STK # 8G17045. Price includes all applicable dealer incentives and manufacturer rebates and are based off MSRP of $49,865. Not all buyers will qualify. Current offers are not available on prior purchases or pre-negotiated deals. Prices plus tax, tag, title and dealer fee. See dealer for details. Offer expires 01/31/2018.